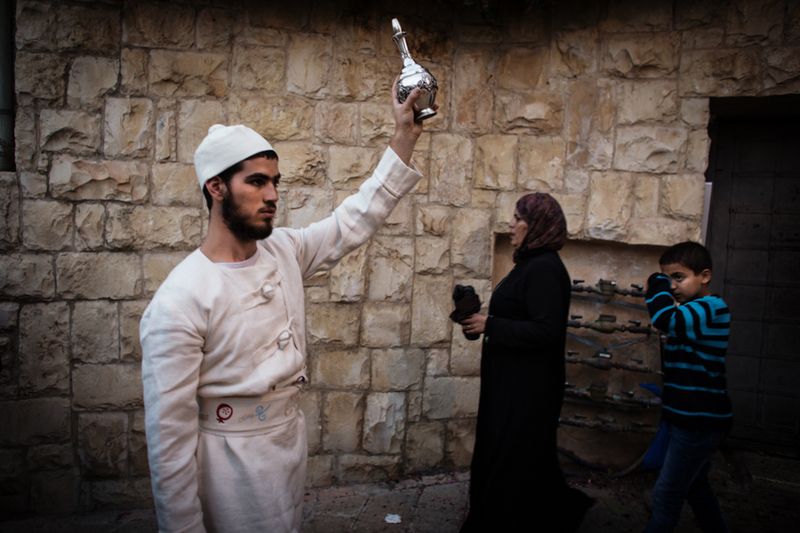 The Priest holding the golden pitcher in The arab neighborhood Silwan. The Feast of Tabernacles required sacrifices of sin offerings and burnt offerings. At the time of preparation for the morning sacrifice, a priest would descend to the Pool of Siloam—amidst great music, celebration and fill a golden pitcher with water.